Well I suppose three sunny days and a passing swallow could be taken as the arrival of spring, but as yet there’s precious little grass to graze and certainly none to cut. When the words ‘Forage Aid’ hit the headlines you know things are pretty bad as producers scrabble around for what is available, and have to resort to feeding high-cost cake just to keep new-calvers going. Your milk trackers may give a reflection of the cost of the three F’s (fuel, fertiliser and feed) in your milk price, but unfortunately in the case of concentrates fail to take in the amount fed. In Ireland, where conditions arguably have been worse owing to their spring-calving predominance and their reliance on taking virtually everything off grass, some buyers are paying exceptional hardship top-ups to keep things solvent. But, as yet, there’s no sign of that happening here! In the face of all this, there is an upside and that is that milk prices which have trended downwards since the turn of the year have indirectly been supported by the bad weather, as the penny drops with buyers that milk volumes aren’t going to be anywhere near where they anticipated this spring. Whether that dropping penny will equate to a rising penny on your milk price is another matter though. There’s not much talk of it just yet, but at least it’s brought a halt to that downward spiral for the time being. 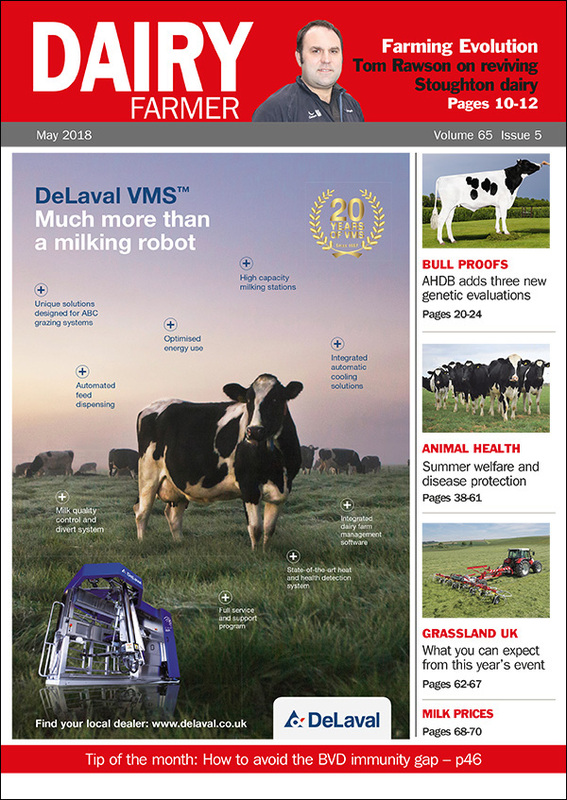 The trouble is the month of May is really the one when money is made if any is to be made – with irrepressible grass growth for grazing and for making high quality silage. But as commentator Stephen Bradley points out (p68), if the poor spring is followed by an indifferent summer, then things could look a bit scary come the autumn. With all of this costly springtime feeding, the sooner prices can leapfrog back over 27p to 28p, the better. And there certainly won’t be any profiteering on the back of it, as most of it will have been spent already!